ACTEURS : Housseini Boly, Carole Bassolé, Mahamadi Nana, Coumba Barry, Mahamoudou Tapsoba, Fatoumata Sambo, Yaya Tall, Cécile Tiaho, Nourou Dicko. A lion is destroying the cattle. Men disappear. The whole village is frightened and the chief is distraught. 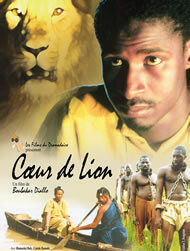 Samba, a young pastor is the only one who is determined to track the animal. But he is surprised by the lion who is about to win the fight. Fortunately, he got the support of Tanko, a young hunter, but his honor is spoiled because he will not bring the tail of the lion back to the village: his savior Tanko took over this position. However, one crucial problem remains: the question about men's disappearance.